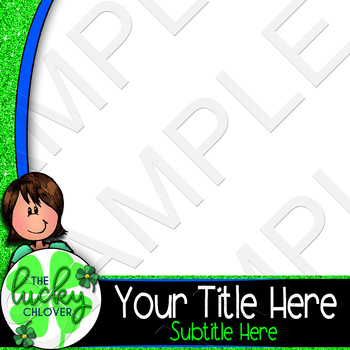 You are purchasing 1 custom-designed cover template for your TpT resources. This product is made specifically for TpT sellers! If you have been wanting to overhaul your cover graphics, this product is EXACTLY what you want! Use it again and again to design your own covers with this locked background page! Yes, the words are EDITABLE! Add your product images and custom clipart to this page! Your store will now have a coordinated, streamlined look! Please note: We work with you until you LOVE the design! Edits and changes are made in the initial consult and design mock-up. We have quick turnaround but may have a waiting period due to multiple requests. The final design will be emailed as a partially editable PowerPoint template. Once you purchase this product, download the directions and send us an email requesting your design.